Christopher Mihoulides shares advantages of using Credit Counsel, Inc.
Credit Counsel, Inc. founder Christopher Mihoulides offers a closer look at the South Florida-based debt recovery firm's advantages. MIAMI, FL, USA, April 19, 2019 /EINPresswire.com/ — A leader in the commercial, medical, and occupational health debt collection sectors for more than two decades, Credit Counsel, Inc. has expertly positioned itself to tackle the mountain of unique and often highly tricky scenarios faced by its clients and their businesses, day in and day out. Having developed the necessary cache of tools and experience required to promptly and professionally deal with such matters, Credit Counsel, Inc. boasts a number of advantages over the competition according to company founder Christopher Mihoulides as he reveals more about the business. "I firmly believe that Credit Counsel is a great asset to almost any business," suggests Mihoulides, founder of the South Florida-based national and international debt recovery firm. "We assist companies in collecting funds which are owed to them from both domestic and overseas debtors, achieving consistently above-standard results by employing our skills in what is often considered a difficult industry in which to perform consistently and at an exceptional level of success," the Credit Counsel, Inc. founder adds. "From collecting full outstanding amounts, which is both our focus and our forte, to making payment plans, negotiating minor discounts, or directing debtors to an appropriate financial institution," Mihoulides goes on, "we're wholly committed to getting clients their delinquent accounts paid in full." From the firm's unique philosophy regarding the successful collection of bad debt, which centers around positively influencing payment, to its broader mission and commitment to ethics, Credit Counsel is proud to be taking a somewhat revolutionary approach to debt collection. Credit Counsel, Inc. is, says Mihoulides, entirely dedicated to increasing the rate of recovery for its clients, and always in a timely and professional manner, preserving those clients' images and reputations within their respective industries in the process. "At Credit Counsel," he continues, "we believe that 'time is money,' as the saying goes, and that our success is ultimately reflected in that of our clients.". "Each and every day," Mihoulides adds, wrapping up, "we look to surpass both our existing and new clients' expectations while always keeping firmly in mind the sensitivity of all-important, ongoing client relationships." Based in South Florida, Credit Counsel, Inc. is a national and international debt recovery firm specializing in commercial, medical, and occupational health debt collection. Founded by professionals in the debt recovery industry, including company president Christopher Mihoulides, Credit Counsel, Inc. boasts a wide range of clients across the United States and internationally. For more information about Credit Counsel, or to apply for access to the debt recovery firm's exclusive web portal—which allows clients and their organizations to securely monitor their collections activity in real-time, verify balances and payments, upload new accounts, and view collector notes 24/7 from anywhere in the world—please call 877-224-7904 or visit http://www.creditcounselinc.com/. Green Globe awarded the Hôtel de Paris Monte-Carlo its inaugural certification at the end of March. 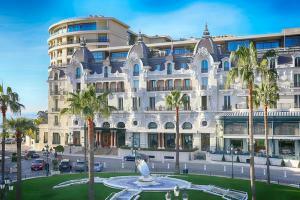 LOS ANGELES, CALIFORNIA, UNITED STATES, April 19, 2019 /EINPresswire.com/ — Green Globe awarded the Hôtel de Paris Monte-Carlo its inaugural certification at the end of March. An iconic, internationally renowned luxury hotel, the Hôtel de Paris Monte-Carlo offers an unrivalled experience in a single location. A magical, legendary hotel and extraordinary establishments and activities: The Louis XV- Alain Ducasse à l'Hôtel de Paris, the Opéra Garnier, the Casino de Monte-Carlo and the Thermes Marins Monte-Carlo. Ivan Artolli, Managing Director at the hotel said, “I am very proud to be part of a company with a true and genuine vision on sustainability with whom I share the importance of further sustainable development at all levels. In recent years, the Hôtel de Paris Monte-Carlo has been putting their expertise and high standards to good use in favour of sustainable development. This willingness is part of an approach towards preserving energy resources, biodiversity, and goodwill within the local community. The Hôtel de Paris Monte-Carlo takes action on a daily basis to work towards ongoing sustainable development. Water conservation and the eradication of plastic from the entire hotel, along with the growing involvement of stakeholders in matters regarding sustainable development are the primary goals set by the Hôtel de Paris Monte-Carlo for the coming years. The quality of the completed hotel renovations conform to European label BREEAM’s standards and in accordance with Monegasque regulations, 100% of the wood used is sourced from sustainable forests (FSC). Consequently, the hotel’s efforts have been recognized at a high level by the label. The new Green Globe certification is part of the property’s proactive environmental and societal approach implemented within the Monte-Carlo Société des Bains de Mer Group over the past 10 years. After the launch of its 3rd Sustainable Development Charter, the Group also signed the National Pact for Energy Transition of the Principality of Monaco in January 2019. Hôtel de Paris is home to the 3-Michelin-starred Le Louis XV – Alain Ducasse à l'Hôtel de Paris where menus filled with creativity, modernity and precision feature seasonal produce from farmers in the region. The hotel supports biodiversity further with the installation of several bee hives within its grounds. Green Globe recertified the Mercure Hotel Suites and Apartments -Dubai Barsha Heights in February with the hotel achieving an outstanding score of 98%. Mr. Naseer Thodi, General Manager at the hotel has been the driving force behind the attainment of Green Globe Certification for four consecutive years. ”I am very proud of what we, as a team, have achieved through implementing our sustainable initiatives. Our journey of sustainability has faced various challenges along the way, however, being a part of the Accor group has facilitated the development of a growing sustainability culture amongst management and team members, ”said Mr Thodi. The hotel has been recognized for its comprehensive waste reduction strategies and its CSR initiatives include broad based social and environmental projects. The Dubai Municipality awarded the Star of Waste Management to the hotel for its waste reduction measures after a detailed inspection of best practices at the property was completed. Each department devises individual waste saving initiatives that are carried out by team members. The Housekeeping team manages a linen reuse program that saves water and electricity, reduces overall running costs and minimizes environmental impacts. In collaboration with Diversy, used soap remnants are collected and donated to the Soap for Hope Program thereby decreasing waste generation at the property. Retired linen and clothes are collected through charity drives and regularly donated to several welfare organizations such as the Beit Alkhair Society, Dubai Cares and Red Crescent. While the Food and Beverage team monitor wastage from kitchens and devised measures to limit food waste where possible. Currently, jam is provided in reusable glassware to avoid the usage of large quantities of plastic packaging. Mercure team has always spearheaded CSR activities in the region to support environmental protection. The hotel’s Green Team actively participates in all green activities conducted by the Emirates Environmental Group. In 2018, the Kitchen Stewarding Team collected a total of 870 kilograms of metal cans. 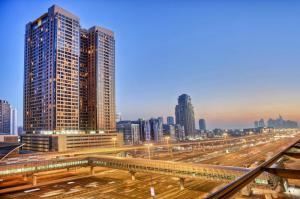 In return Mercure Hotel Suites and Apartments – Dubai Barsha Heights was awarded with three Ghaf tree saplings to plant. The Ghaf tree is the native plant of UAE. The tree plantation event took place on 18th December 2018 in Minae, South Ras Al Khaimah (Skheibar Area). The root systems of Ghaf trees penetrate deeply into the soil for more than 30 meters allowing it to draw water up for survival even in the hottest weather conditions. The trees also prevent soil erosion in dessert regions. Mercure Hotel Suites & Apartments participated in the Clean up the World campaign organized by the Dubai Municipality that took place at the Jebal Ali Trojan camp (a desert area) in Dubai. Various organizations supported the cleaning up of the deserts and the removal of plastics and other waste which will improve the environment for indigenous dessert wildlife. “We received a certificate of appreciation from the Dubai Government for participating in the campaigns and for our efforts in protecting the environment. We are all pleased that we can assist in this manner,” concluded Mr Thodi. SCOTTSDALE, ARIZONA, UNITED STATES, April 19, 2019 /EINPresswire.com/ — Scottsdale, AZ, and Willits, CA – April 18, 2019 – Montage Partners, a Scottsdale, Arizona-based private equity firm, is pleased to announce its acquisition of Advanced Manufacturing and Development, Inc., dba METALfx (“METALfx”), from a subsidiary of Avista Corporation. METALfx’s existing management team will continue to lead the company and will own a meaningful equity stake in the business. Founded in 1976 and headquartered in Willits, California, METALfx is a leading provider of precision sheet metal fabrications, enclosures, assemblies, and complex wood composite components across a variety of industries, including technology, healthcare, industrial, and others. The company is strategically focused on serving customers who demand quick turnaround times, prototype collaboration, engineering support, and rigorous product standards, and whose parts are highly engineered, complex, and subject to high precision and tight tolerances. The transaction closed April 18, 2019. Osborn Maledon, P.A., provided legal counsel to Montage Partners, and Davis Wright Tremaine LLP provided legal counsel to Avista Corporation. Asenti Diligence Partners, LLC, provided financial due diligence advisory services to Montage Partners. Meridian Capital LLC served as financial advisor to METALfx. Enterprise Bank & Trust and Eagle Private Capital LLC provided debt financing to support the transaction. Founded in 2004 and headquartered in Scottsdale, Arizona, Montage Partners is a private equity firm that invests in established companies in the western U.S. with EBITDA between $1 million and $5 million. Above all other investment criteria, Montage Partners invests in exceptional people. Montage Partners provides liquidity to those who have spent years of their life building great companies, protects those companies through a transition of ownership, and supports the next generation of a company’s leadership in executing on growth initiatives. For more information, please visit www.montagepartners.com. Tokenomica has launched its new Digital Assets Exchange, which combines the best features of both centralized and decentralized exchanges. TRIQ TAZ-ZWEJT, SAN GWANN, MALTA, April 19, 2019 /EINPresswire.com/ — Tokenomica has launched its new Digital Assets Exchange, which combines the best features of both centralized and decentralized exchanges, making it the first decentralized trading platform operating in a fully regulated environment. The product includes: decentralized execution and settlement; centralized client acceptance; centralized asset quality assurance and centralized custody of fiat; and hybrid custody of crypto assets. The Digital Assets Exchange uses the latest advancements based on proven technology, Waves DEX, and centered on Smart Accounts and Smart Assets. Waves DEX has proven itself to be one of the safest exchanges on the market. We have taken the technology and made several important improvements. “It's ironic that, while one of the key advantages of cryptocurrencies and the blockchain as the underlying technology behind them is decentralization, most of crypto exchanges on the market are completely centralized. Decentralized exchanges solve most of the problems of traditional exchanges. Lack of relevant regulation is the main stumbling block for their emergence ”, said Artem Tolkachev, Tokenomica’s Founder and CEO. “When we first thought about building our own exchange, we wanted to combine the best that both centralized and decentralized exchanges provide. We are very proud to be the first ones to launch a DEX within a regulated environment on the market”. Tokenomica is a platform for issuing and trading security tokens and providing investors with the ability to invest in fiat and crypto. It was built with one purpose in mind: to be the new wave of digital finance. Tokenomica combines the best of two worlds: the most advanced technology based on a decentralized exchange and the quality checks on clients and on the assets themselves which is achieved by compliance with regulation. 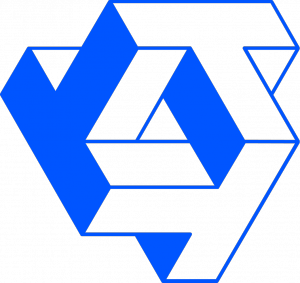 Team’s vision is to build an infrastructural financial platform that would allow users to invest in quality digital assets using both classic and crypto investment tools, combining the best elements of traditional financial markets and technology: protection of the investors and simplified trading mechanisms. The goal is to be the world's first true Ecosystem for Security Token Offerings and trading mechanism, by disrupting the current way digital finance is being conducted. Moreover, we want to make a positive impact on the global financial landscape by providing best in class products and services. LEHI, UTAH, USA, April 18, 2019 /EINPresswire.com/ — Civica Rx, a new not-for-profit company that was established to help stabilize the supply of essential generic medications, has opened its new headquarters, located at 2912 Executive Parkway in Lehi, UT. 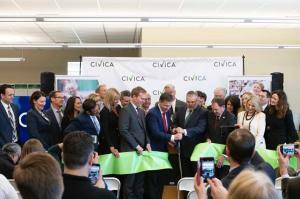 Joining the Civica Rx team in a grand opening ceremony and ribbon cutting were Utah Governor, Gary Herbert; U.S. Congressman Ben McAdams (UT); Intermountain Healthcare CEO, Dr. Marc Harrison; University of Utah Senior Director Drug Information Services, Erin Fox; and Civica Rx Chairman of the Board and the “brainchild” of Civica Rx, Dan Liljenquist, who is also SVP of Strategy at Intermountain Healthcare. U.S. Senators Mitt Romney and Mike Lee of Utah provided congratulatory video remarks. Lehi, referred to locally as “Silicon Slopes,” was chosen because it is centrally located amid Utah’s major universities and has become a hub for Utah’s start-up and tech community, which will enable Civica Rx to draw on local expertise and talent. The Lehi office will house approximately 40 people soon and expansion opportunities in Lehi are expected to bring the office to four or five times that size within three to five years. Civica Rx exists in the public interest as a non-profit, non-stock corporation focused on reducing chronic generic drug shortages, which have negatively impacted patient care for over a decade. It was founded by leading US hospital systems concerned about drug shortages and philanthropic organizations passionate about improving healthcare. Event speakers highlighted the challenges associated with generic drug shortages in the nation’s hospitals, shared enthusiasm about the promise of Civica Rx as an innovative, collaborative approach to stabilizing generic drug supply, and expressed pride in welcoming Civica Rx to Utah. Civica Rx is a new enterprise designed to reduce chronic generic drug shortages, which have become a national crisis and have negatively impacted patient care for over a decade. Civica Rx exists in the public interest as a non-profit, non-stock corporation committed to stabilizing supply of essential generic medications in a hospital setting. It was founded by leading US hospital systems concerned about drug shortages and philanthropic organizations passionate about improving healthcare. Civica Rx will act in the best interest of patients to eliminate uncertainty in the generic drug supply chain through long-term contracts with the health system members who have joined Civica Rx as well as its manufacturing partners. Civica Rx is committed to transparency, will offer fair and sustainable prices, and will ensure it has dedicated manufacturing capacity for the medications that are most desperately needed in hospitals across the country. GREENVALE, NEW YORK, UNITED STATES, April 18, 2019 /EINPresswire.com/ — The much anticipated 2019 Real Trends 500 and T3 Sixty’s Mega 1000 annual real estate industry rankings reports has been released online. Laffey Real Estate, once again, has ranked among the nation’s leading residential brokerages nationwide. Both firm’s are trusted sources for ranking the performance of residential real estate companies. REAL Trends, in its 32nd year, showed that the nation’s leading realty firms outperformed the market with data from 1,757 firms, a record number, who qualified this year. All data requires independent verification and REAL Trends is considered The Trusted Source for information about performance of the firms in the report. T3 Sixty, a newcomer to the industry ranking platform, released their second annual comprehensive brokerage and franchise report with the Mega 1000. T3 Sixty uses sales volume as its lead ranking criteria as a benchmark of a company’s overall strength. Placing in the top 50% of the list, Laffey Real Estate ranks among the region’s best residential real estate independent brokerages. “Without the best data available, assumptions and decisions are flawed before they’re even made,” said T3 Sixty CEO Stefan Swanepoel. “The Mega 1000 is committed to provide the most accurate and complete information possible,” Swanepoel added. Among Top Leading Real Estate Companies of the World affiliates, Laffey Real Estate placed an impressive 111th with 13 offices in three counties. Supporting the independent brokerage model, the firm placed at 186th among the nation’s Largest Independent Brokerages and also placed in the top 500 in Total Sales Volume with $632 Million in residential home sales transactions. Laffey Real Estate is one of the largest privately held independent family-owned residential real estate firms on Long Island with a network of over 500 agents in 13 offices throughout Nassau, Western Suffolk and Queens Counties. Their global partnership with Leading Real Estate Companies of the World®, Luxury Portfolio® and Who’s Who In Luxury Real Estate® extends their reach to more than 70 countries worldwide. The firm is a full-service provider offering expertise in sales, rentals, relocation, mortgage, new development marketing, mortgage and title insurance to the Long Island marketplace. Their pioneering sales management platforms, worldwide brand identity and industry-leading training curriculum embody best in class standards throughout the industry. Consumers trust in Laffey Real Estate name to represent their home buying and selling interests locally and globally. Consistently ranked by the two of the industry’s leading consulting and research firms, Laffey Real Estate has an exceptional record of success. With over $645 Million in Sales in 2018 and 936 total transactions, REALTrends 500 placed the firm at #186 among the largest independent brokerages, #475 in total sales volume and # 111 among Leading RE affiliates nationwide. T3 Sixty’s Mega 1000 Report placed the firm at #504 among the nation’s largest brokerages in the country. REAL Trends has been The Trusted Source of news, analysis, and information on the residential brokerage industry since 1987. We are a privately-held publishing, consulting and communications company based in Castle Rock, Colorado. Residential real estate leaders look to us for timely and trusted information and analysis through our monthly newsletter, news updates, conferences and publications. Exclusively serving the residential real estate brokerage industry, T3 Sixty provides real estate CEOs, business leaders, association and MLS executives, brokers and high-performance teams the knowledge, best practices and support to grow their businesses. The company does this through management consulting, training and in-depth research and quality publications, such as its hallmark Swanepoel Trends Report, an annual analysis of the top trends shaping the industry for the next 18 to 24 months. The firm’s consulting divisions include brokerage, technology, mergers and acquisitions, and associations and MLSs. Find out more here. UNITED STATES, April 18, 2019 /EINPresswire.com/ — IRVINE, CALIF. (April 17, 2019) – Secure Channels Inc., a provider of innovative security solutions, announced today the launch of ZIPcrypt™, an easy-to-use desktop utility that encrypts and decrypts files or folders with a simple right-click. The ZIPcrypt™ application (utility) is designed for simplicity and to be immediately familiar to those who already use WinZip, WinRAR, or other shell-integrated compression utilities. ZIPcrypt™ presents the option to perform encryption using the widely popular AES-256 standard, as well as the more powerful, ground-breaking new encryption technology known as XOTIC™. The XOTIC™ encryption format allows for unprecedented direct control over encryption strength using a simple “dial” feature that resembles a stereo volume control knob. XOTIC™ encryption strength ranges from 512 bits of security (known as “post-quantum” strength), all the way up to an eye-popping 131,072 bit, which can only be described as “archive strength”. ZIPcrypt™ follows the popular “Freemium” model, making it always free to use for basic file and folder ZIP compression with encryption. Users can also opt-in to engage a free-trial of SCIFCOM™. Enabling SCIFCOM™ fully unlocks the potential of ZIPcrypt™, allowing for maximum encryption dial-settings and direct inline integration of the SCIFCOM™ online file-sharing service. The file-sharing feature includes the ability to directly send jumbo sized (extra-large) files securely over the internet via SCIFCOM. SCIFCOM™ file-sharing utilizes the powerful SCIFCOM™ (as-a-service) website and robust cloud storage options to transmit files anywhere on earth. Recipients of encrypted files receive a link via email whereby encrypted data can be downloaded from the cloud, and encryption keys are handled separately and securely by SCIFCOM. The minimal and elegant design of ZIPcrypt™ along with robust features for sharing files remotely presents an attractive and powerful alternative to DropBox.com. ZIPcrypt™ combines the ability to securely encrypt, store, and send data with ease. "Encryption is difficult and expensive, so it's not utilized by very many organizations," said Richard Blech, Chief Executive Officer of Secure Channels Inc. "With ZIPcrypt™ we built a minimalistic yet powerful utility that's exceedingly simple to use and provides users with important capabilities for their own security. These include local file and folder encryption (with ZIP compression) and send-a-file using the online SCIFCOM encryption as-a-service platform. We're excited to offer our first encryption-as-a-service platform and expect rapid adoption due to our combined ease of use and the benefits of encrypted protection. " ZIPcrypt™ solves one of the most troublesome problems in the world today; the ability to send files safely while still remaining extremely simple to use. "We wanted to create something weightless that won't impact the user experience," said Michael Feinberg, Chief Information Officer of Secure Channels Inc.
For more information about Secure Channels' solutions, visit www.securechannels.com. Secure Channels Inc. offers innovative, agile security solutions designed to seamlessly integrate with organizations' existing solutions. Agnostic by nature, solutions customize to user environments without compromising protection. Our mission is to help organizations make the most of their active security tools used for authentication and data protection, while providing a cost and performance effective solution to address the ever-increasing security challenges organizations face today. For more information, visit www.securechannels.com. Wholesome Goodness continues to seek strategic partners that can provide equity capital and strategic expertise to continue the Company's growth. IRVINE, CALIFORNIA, UNITED STATES, April 18, 2019 /EINPresswire.com/ — April 17, 2019, Irvine, CA and Long Grove, IL – Keystone Capital Markets Inc. (“Keystone”) announced today the closing of a credit facility obtained for Wholesome Goodness, LLC, a leading and growing company in the healthy snacks sector. Keystone served as exclusive financial advisor to Wholesome Goodness in the transaction. Based near Chicago, Illinois, Wholesome Goodness has created a line of branded foods focused on the rapidly growing natural, better-for-you segment with an emphasis on healthy snacks and cold cereals. The products were selected and formulated based on feedback from consumers in test markets beginning in 2012 and under the guidance of the renowned physician-nutritionist Dr. David Katz. These efforts resulted in a popular, award-winning portfolio of healthy and delicious foods. Most recently, Wholesome Goodness acquired Riceworks® from Shearer’s Foods Inc., a global leading co-packing and manufacturing company in the snack food segment. Riceworks, with a well-known product line of proprietary delicious, healthy rice-based chips, added significant volume to the Wholesome Goodness® lineup. The Company’s products are carried in over 5,000 food retail stores in North America, including Costco, BJ’s, Kroger, Albertson’s, Ahold Delhaize, Loblaw’s, Walmart and numerous others. Wholesome Goodness’ management expects its product distribution to cover over 10,000 stores by the end of 2019. “This transaction was the result of an exhaustive effort to find the right credit group with the best terms possible to partner with Wholesome Goodness management”, remarked Avi Suriel, Managing Director who led the transaction for Keystone. David Luvisa, the other Keystone Managing Director on the deal remarked, “It was essential that the facility enable the Company to cover its liquidity and working capital needs, as well as evolve over time as necessary to support further growth and product broadening. We believe it is the first step supporting an aggressive expansion of the Wholesome Goodness and Riceworks brands across new geographies, multiple distribution channels, line extensions and adjacent product categories”. Keystone Capital Markets provides Investment Banking and Strategic Advisory services to middle market companies. Keystone’s dealmakers have collectively completed hundreds M&A and capital raise of transactions for clients across a diverse array of industries, including consumer products, manufacturing, business services, wholesale distribution, healthcare services, and technology. Keystone has been retained to identify strategic partners for Wholesome Goodness that can provide equity capital and strategic expertise to foster the company’s continued growth in the healthy snack segment. For more information contact Avi Suriel at (949) 404-4458 or David Luvisa at (949) 556-4300. Investors received a massive boost yesterday when Treasury put a spotlight on business investments within Opportunity Zones. DALLAS, TEXAS, US, April 18, 2019 /EINPresswire.com/ — The 2nd round of Opportunity Zone (OZ) rules released by the Treasury yesterday make it clear that Washington DC understands the way to super charge OZ’s lies in a healthy mix of investments in real-estate and increasing the business foot print by supporting small businesses and new ventures in OZs. Until this round of rules was released, OZ’s were just another real-estate investment and tax program. That all changed yesterday, when the rules for investing in businesses received tremendous clarity and the Administration made it clear they are focused on businesses. “This is a real winner for both business owners and investors”, said Jeff Hudson Halagard CEO. The updated OZ rules align perfectly with the Halagard model for Connect-In which allows both OZ and Non-OZ companies to sell equity for capital. We put together a short video about how Halagard helps business owners. What types of businesses can take advantage of the OZ rules? Any business except for the following types: liquor stores, strip clubs, casinos, massage parlors, racetracks and golf courses; the so-called sin businesses. Can a business not currently located in an OZ also leverage the rules? Yes, any business can take advantage of OZ rules so long as it meets the one of the safe harbor rules for 50%. This means businesses currently in OZ can expand outside the OZ, existing businesses can open offices in an OZ or a startup up can select an OZ for their office. Below are the 3 safe harbors and examples provided by the Treasury. 1)	The first safe harbor in the proposed regulations requires that at least 50 percent of the services performed (based on hours) for such business by its employees and independent contractors (and employees of independent contractors) are performed within the qualified opportunity zone. This test is intended to address businesses located in a qualified opportunity zone that primarily provide services. The percentage is based on a fraction, the numerator of which is the total number of hours spent by employees and independent contractors (and employees of independent contractors) performing services in a qualified opportunity zone during the taxable year, and the denominator of which is the total number of hours spent by employees and independent contractors (and employees of independent contractors) in performing services during the taxable year. •	For example, consider a startup business that develops software applications for global sale in a campus located in a qualified opportunity zone. Because the business’ global consumer base purchases such applications through internet download, the business’ employees and independent contractors are able to devote the majority of their total number of hours to developing such applications on the business’ qualified opportunity zone campus. As a result, this startup business would satisfy the first safe harbor, even though the business makes the vast majority of its sales to consumers located outside of the qualified opportunity zone in which its campus is located. 2)	The second safe harbor is based upon amounts paid by the trade or business for services performed in the qualified opportunity zone by employees and independent contractors (and employees of independent contractors). Under this test, if at least 50 percent of the services performed for the business by its employees and independent contractors (and employees of independent contractors) are performed in the qualified opportunity zone, based on amounts paid for the services performed, the business meets the 50-percent gross income test found in section 1397C(b)(2). This test is determined by a fraction, the numerator of which is the total amount paid by the entity for employee and independent contractor (and employees of independent contractors) services performed in a qualified opportunity zone during the taxable year, and the denominator of which is the total amount paid by the entity for employee and independent contractor (and employees of independent contractors) services performed during the taxable year. •	For illustration, assume that the startup business described above also utilizes a service center located outside of the qualified opportunity zone and that more employees and independent contractor working hours are performed at the service center than the hours worked at the business’ opportunity zone campus. While the majority of the total hours spent by employees and independent contractors of the startup business occur at the service center, the business pays 50 percent of its total compensation for software development services performed by employees and independent contractors on the business’ opportunity zone campus. As a result, the startup business satisfies the second safe harbor. 3)	The third safe harbor is a conjunctive test concerning tangible property and management or operational functions performed in a qualified opportunity zone, permitting a trade or business to use the totality of its situation to meet the requirements of sections 1400Z-2(d)(3)(A)(i) and 1397C(b)(2). The proposed regulations provide that a trade or business may satisfy the 50-percent gross income requirement if (1) the tangible property of the business that is in a qualified opportunity zone and (2) the management or operational functions performed for the business in the qualified opportunity zone are each necessary to generate 50 percent of the gross income of the trade or business. •	Thus, for example, if a landscaper’s headquarters are in a qualified opportunity zone, its officers and employees manage the daily operations of the business (occurring within and outside the qualified opportunity zone) from its headquarters, and all of its equipment and supplies are stored within the headquarters facilities or elsewhere in the qualified opportunity zone, then the management activity and the storage of equipment and supplies in the qualified opportunity zone are each necessary to generate 50 percent of the gross income of the trade or business. Additionally, another rule clarification makes investing in businesses ideal for Qualified Opportunity Funds (QOF’s). instead of having to invest in a company for 10 years QOFs can buy & sell equity in businesses throughout the 10-year period so long as they reinvest the proceeds within 12 months in another OZ investment. Another perfect alignment with the Halagard Marketplace.